Tsukada, Y.: Hydroxylation mediates chromatin demethylation. J. Biochem., 153: 229-246 (2012). Tsukada, Y., Ishitani, T., and Nakayama, K. I.: KDM7 is a dual demethylase for histone H3 Lys 9 and Lys 27 and functions in brain development. Genes Dev. (selected as cover), 24: 432-7 (2010). Tsukada, Y., Fang, J., Erdjument-Bromage, H., Warren, M. E., Borchers, C. H., Tempst, P., and Zhang, Y.: Histone demethylation by a family of JmjC domain-containing proteins. Nature (Article), 439: 811-816 (2006). Cao, R., Tsukada, Y., and Zhang, Y.: Role of Bmi-1 and Ring1A in H2A ubiquitylation and Hox gene silencing. Mol. Cell, 20: 845-854 (2005). 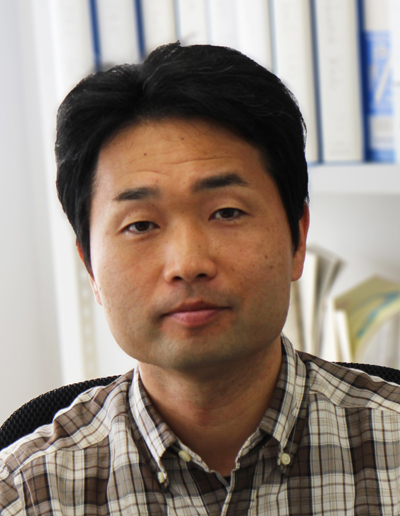 Tsukada, Y., Miyazawa, K., and Kitamura, N.: High intensity ERK signal mediates hepatocyte growth factor-induced proliferation inhibition of the human hepatocellular carcinoma cell line HepG2. J. Biol. Chem., 276: 40968-40976 (2001).